Novel & Short Story Writer's Market 2017 is the only resource you need to get your short stories, novellas, and novels published. 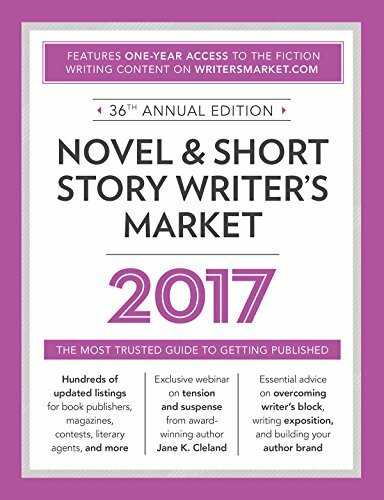 As with past editions, Novel & Short Story Writer's Market offers hundreds of listings for book publishers, literary agents, fiction publications, contests, and more. Each listing includes contact information, submission guidelines, and other essential tips. Discover creative ways to conquer writer's block. You also receive a one-year subscription to WritersMarket.com's searchable online database of fiction publishers, as well as a free digital download of Writer's Yearbook, featuring the 100 Best Markets: WritersDigest.com/WritersDigest-Yearbook-16. Includes exclusive access to the webinar "Create Edge-of-Your-Seat Suspense" by Jane K. Cleland.